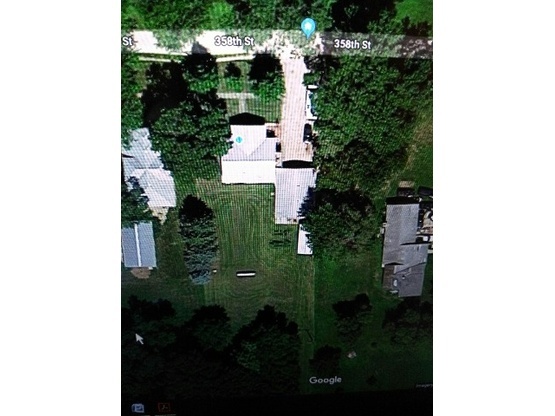 My wife and I have a quiet location in an unincorporated town with about 16 inhabitants, 32 miles from the Okoboji Great Lakes region of northwest Iowa. Spencer, IA is a quick 14 miles east on a nice blacktop. The home is about 100 ft from the blacktop on gravel. We love the outdoors, boon-docking, and boating. We are also just as happy sitting by a fire listening to the wildlife. Deer, raccoons, and an occasional fox are often seen in our yard. I am a fabricator and very mechanically inclined with a multitude of tools including air driven, a welder, and hardware on hand. My wife says I am a John of all trades. We have gutted and remdelled our home, and I cannot resist taking anything apart and making it function better. Beach camping in Texas. Padre Island, Magnolia Beach, Brazosport. Besides the amazing view and sounds, it’s free!! Casinos are also wonderful because of the 24 hour security. 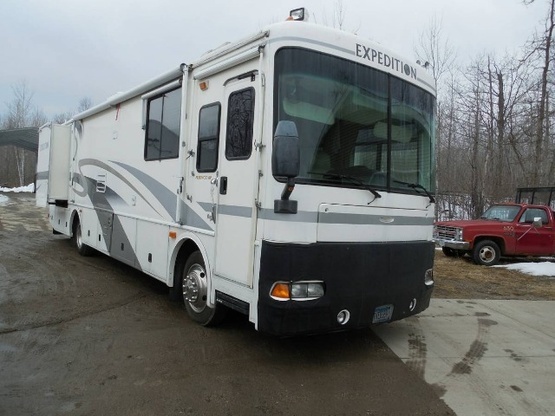 Fleetwood Expedition 36 ft motor coach, we do sometimes haul a car on a car dolly or motorcycle on a small trailer. We previously stayed with John and Cheryl earlier in the year. They really impressed us. We were on our way back south to Texas again and felt the need to catch up with them on their activities. 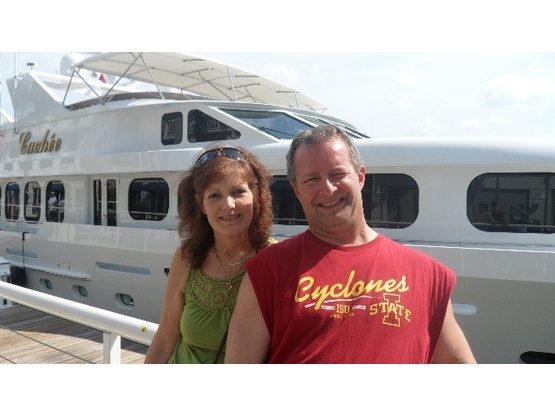 John helped us with a number of maintenance issues with our travel trailer, including identifying a propane gas leak that could have been very dangerous for us. We have learned to call them friends. They are generous folks. 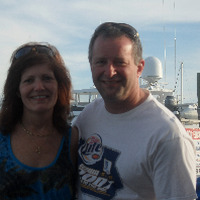 Cheryl and John are two exceptionally generous folks who are very committed to RVing. They have owned a number of rigs and have spent a great deal of time camping and boondocking on weekends and long holidays. Although they have not yet reached an age they can retire, they look forward to that day coming. We spent a very enjoyable evening exchanging stories of where we had camped and sites we have seen. John volunteered to add some grease to my sway bar and weight distribution hitch, which were squeaking and squawking.. We were able to talk extensively about inverters and deep cycle batteries. Terrific couple…we shall come by again later in the year when we come back this way. We highly recommend you meet these two folks.